CRPS (Complex Regional Pain Syndrome) is a debilitating condition that can occur after a trauma. If not treated early and effectively, it can quickly spiral out of control and become a life altering problem. 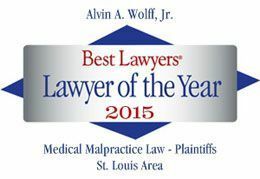 This St. Louis Personal Injury Lawyer has handled several CRPS cases arising out of trauma, dog bites and medical malpractice. We are here to assist and know the best doctors in the United States for Treating CRPS. We also have a wealth of literature that we are happy to share with anyone who asks. If you need a Missouri Personal Injury Lawyer to help you with your CRPS case, give us a call at 314--584-4109.